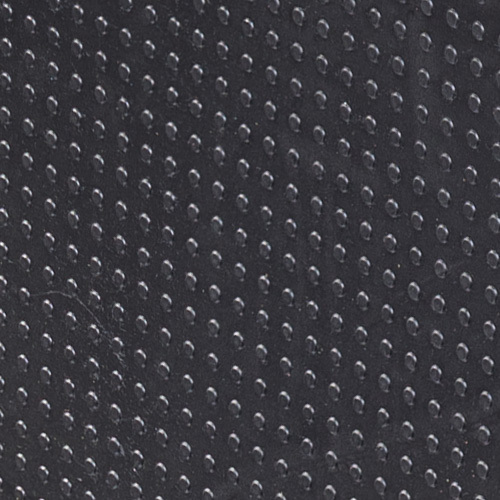 The hard-wearing rubber floor covering for high mechanical stress in the industrial area. The versatile industrial floor is noise-insulating as well as very easy to drive on and slip-proof with its flat surface structure. Dimensionally stable and flexible –the ERGOLASTEC floor guarantees many years of use. Ja The flame-retardant rubber mat has the fire protection class Bfl-S1. Ja The ERGOLASTEC floor mat is suitable for areas with intensive walking and working traffic. Ja The industrial floor is the ideal floor for production halls, storage and order picking areas, and garages. Ja The industrial floor withstands heavy mechanical loads (e.g. forklifts and lift trucks). Ja The soft back of the mat's suction cup guarantees high anti-skid properties and noise insulation. Ja The ERGOLASTEC floor mat with a flat structured surface ensures good trafficability. Ja The mat protects falling material from damage. Ja Driving and impact noises are absorbed by the soft underside.